Carmelo D’Aquino holds a special place in my heart for two reasons. Firstly, the small delicatessen he established in Orange was one of the things that kept my late father sane. Arnold was an extremely proud Australian but as a post-war refugee from war-torn Europe he found the food here somewhat bland, to say the least … except for the continental goodies — sausages and breads and table wines, etc — stocked by Carmelo. Secondly, we tend to think of Orange as a quite recent addition to the Australian wine scene, but, in fact, Carmelo D’Aquino made his first barrel of wine there, in a small tin shed, in 1946, just on 70 years ago. The origin of the grapes has been lost to history but that hardly matters. What matters is that Carmelo is recorded as the first winemaker in Orange and that he started an industry that has boomed in recent years and lifted the district to an esteemed standard in the world of wine. 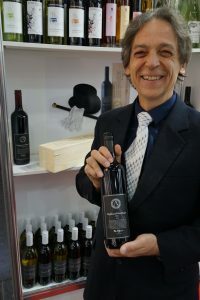 That tradition has been inherited by his grandson Rex D’Aquino, who produces some of the country’s top drops under the Highland Heritage label and has just released a couple of reds in the new Patrono series, released specifically to honour the pioneering work of work of Carmelo. The Highland Heritage operation, on the outskirts of Orange along the Mitchell Highway towards Sydney, is one of region’s modern landmarks and includes a restaurant, function centre and cellar-door as well as a pristine vineyard. Katnook Estate 2012 Odyssey Cabernet Sauvignon ($100): As the place where John Riddoch started winemaking in Coonawarra, Katnook holds a special position, and this elegant red represents the epitome of the district. Katnook Estate 2013 Cabernet Sauvignon ($40): It’s less than half the price of the Odyssey but it’s more than half the wine … a cassis-bomb that’s the perfect match for thenbest lamb you can find. Highland Heritage 2015 Patrono Series Shiraz ($55): A lovely, smooth velvety red with rich spicy fruit flavours seamlessly integrated with oak that doesn’t at all intrude. Enjoy with a top-grade char-grilled steak.